Who is this UW Photography clinic for? The Smiling Seahorse gives you the chance to come improve your underwater photography skills, for the first time in Myanmar! Throughout the cruise, you will encounter beautiful underwater landscapes! 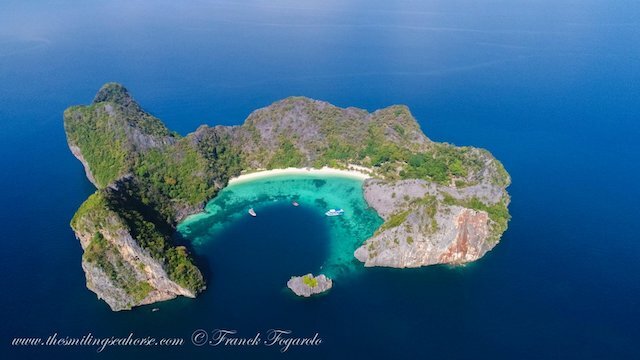 The biodiversity is phenomenal, fauna and flora, small and big everything is there whether you are macro entousiast or fish eyes pros you will find what you’re looking for. Goal n.2: have a great holidays! 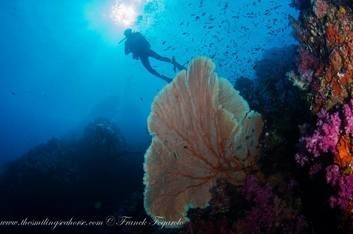 With hundreds of dives in the area, they know how to find the nicest subjects to take photo of. Don’t waste your time looking for the frogfish or the ghost pipefish, they will do it for you. So you can focus technical stuff and take the best photo you can! In order to give everyone the time and advices they seek, we limited the number of participants to 12 instead of 16. This is the guaranty to improve your skills. Plus this will give each-others more space onboard. Being part of a photographer-only cruise is the guaranty to improve your shots. With up to 4 dives a day and as many surface intervals you will have plenty of time to share your experience, technics and tricks. As many opportunities to learn and try new styles and ideas on the next dive. 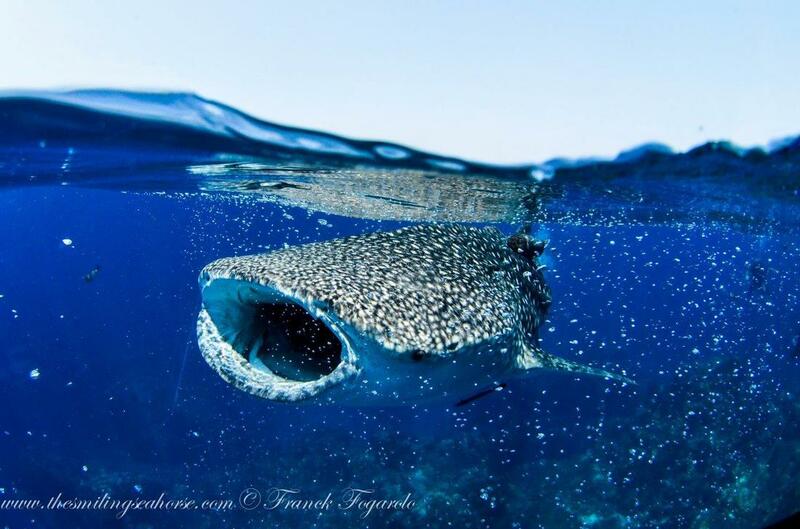 All of it with the advices of a very experienced professional underwater photographer. With the digital photography, whether you shoot Jpg or RAW you will learn how to edit your images. We will explain you the basics you need to know about softwares like “Photoshop” or “Lightroom”. Because you need to be a diver prior to bring a camera down there, we ask you to be certified up to 30 metres by any dive organization like Padi, Naui, ssi, Cmas or similar, and you need good buoyancy skills. Nitrox available for EAN certified divers. The aim here for beginners is to set yourself free from automatic modes, and for experienced photographs, the aim is to improve your knowledge and underwater photo skills. You will also need a laptop to edit your images and to put together slideshow to show your pictures during and at the end of the cruise if you wish to. Rendez-vous: at The Smiling Seahorse shop in Ranong on the 23rd morning. You are interested and need more info? get in touch! ""We took a part of their 8 days trip to Burma and were very pleased in so many ways. Diving was good: Divisites are in pristine condition and these dives are million miles away from "the traffic light" -diving, of what you may experience in more popular divesites. 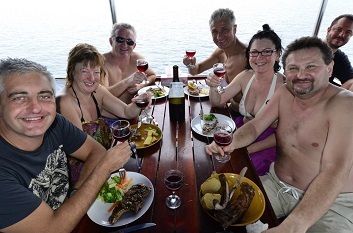 With a group of only 4 divers and a guide, you can really enjoy the tranquillity that diving has to offer as its best. 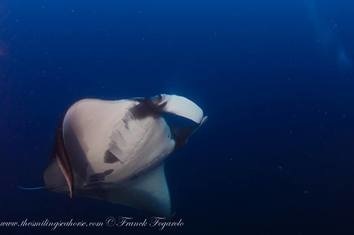 Special thanks goes to Franck, who helped me to improve my underwater photographing skills. Food was great and the whole crew amazingly friendly and true professionals. Highly recommended!"